We couldn’t be more egg-cited that the bunny is back, but this year there’s no need for him to bring us chocolates or sweets. Instead, we’ll happily take a basket full of Barritt’s and a bottle of Tito’s wouldn’t hurt, too. Hop to it and put your Easter goodies to good use with these fresh and flavorful spring inspired cocktails. No matter the occasion, Barritt’s Ginger Beer is the life of the mardi. 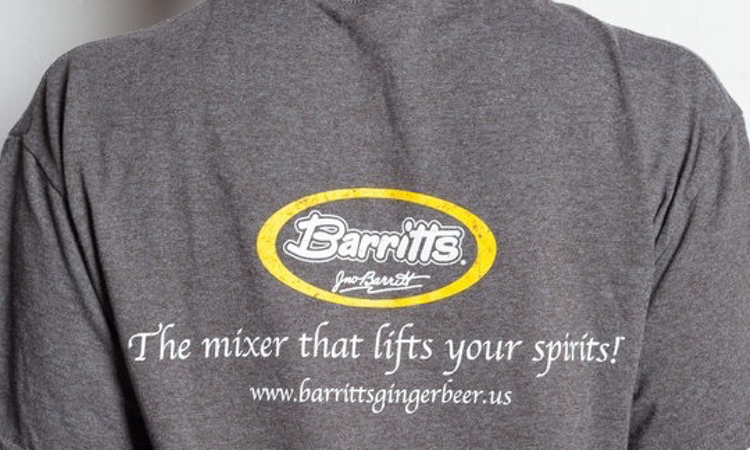 Since 1874, Barritt’s has been the mixer that lifts your spirits, perfect for celebrations of any and every size. Whether you’re strutting down the streets of New Orleans or raising a glass from home in celebration of Mardi Gras, our purple, yellow and green ginger beer cocktail recipes will transport you to the NOLA festivities with just one sip. Whether it’s winter, spring, summer or fall, there’s no better feeling than packing up the car and disconnecting for the weekend with an outdoor escape. When we think of a weekend getaway our mind instantly wanders to thoughts of cozying up around the fire while surrounded by family and friends with a Barritt’s cocktail in hand, of course. Find the recipe for a successful weekend away with some of our favorite log cabin cocktails below. Since 1887, the legend of Punxsutawney has held strong. Each year when February 2 hits, we’re so desperately lusting after warmer weather that we find ourselves peeled to the TV while wondering whether the groundhog will indeed see his shadow. And regardless of whether you believe in the legendary animal or not, it’s hard not to let the curiosity creep in. So no matter whether we’re in for six more weeks of winter or finally get to welcome the start of spring, these Groundhog Day sips are the perfect cocktails to sling. The tree isn’t the only thing getting lit this year… and neither is the menorah. Whether you’re heading home for the holidays or plan on posting up in a tropical location to celebrate instead, we’re making spirits bright wherever you are one Barritt’s cocktail at a time. The perfect addition to any festivities that are sure to ensue, these cocktail recipes will no doubt put a little extra jingle in your jangle all season long.